It’s hard to believe it’s been almost a year since I guest blog for my friend at Absolute Travel Addict . I did a three part round up of Jamaica Bacchanal 2013 . It feels like yesterday but last Friday, March 7th was the official launch of the season at the New Mas Camp (Stadium North) in Kingston . This year is entitled Conquest & Surrender and I can only imagine the fun that will be in store for all the Soca Junkies. Although I wouldn’t call myself a Soca Junkie , I must admit Carnival has grown on me in recent years. What grabbed me was the FREE Socarobics sessions. Basically , this is a 2 hour high energy non-stop work out /aerobics session to Soca Music. This is where you learn all the songs for the season, learn the moves and try to get in shape for the road march. It may seem like an innocent fun work out but that is how Soca pulls you in. At first, it is just exercise then the next day you’re at work standing by the photocopier, humming “We Ready For The Road” until the thing you know, you’re covered in blue paint , cup or flask in hand gyrating with hundreds of strangers at 4am with sleep being the furthest thing from your mind. This Calendar below is an overview of Jamaica Bacchanal events for the season but it is by no means a reflection of all the happenings for the season but the sates listed are the most important events. Socacise/ Socarobics sessions will be Mondays and Wednesdays at 5:30 pm starting March 10 and there should be a weekly Friday night party at Mas Camp. In addition to these their will be tons of other Soca parties just stay tuned to social media. You can start by following Jamaica Bacchanal’s Facebook page which also previews the costumes for this season , if you plan to participate in the parade. SocaRobics is generally Mondays and Wednesdays at 5:30 pm at Mas Camp . The weekly Friday parties should also be happening as well as a ton of other soca parties. Whether you’ve been suffering all year from Carnival Tabanca or you’re a Bacchanal Newbie , there is will be a lot of fun to be had. The beauty about Soca parties is they bring people together as everyone is there to enjoy themselves rather than just observe as is d seen in most clubs or Dancehall parties. It’s also a time of year when Caribbean people put their differences aside and the Trinidad/Jamaica rivalry temporarily subsides as there is no disputing that Trini Carnival is the best . If however you can’t make it to the Soca Capital, Jamaica Carnival is also a great option. 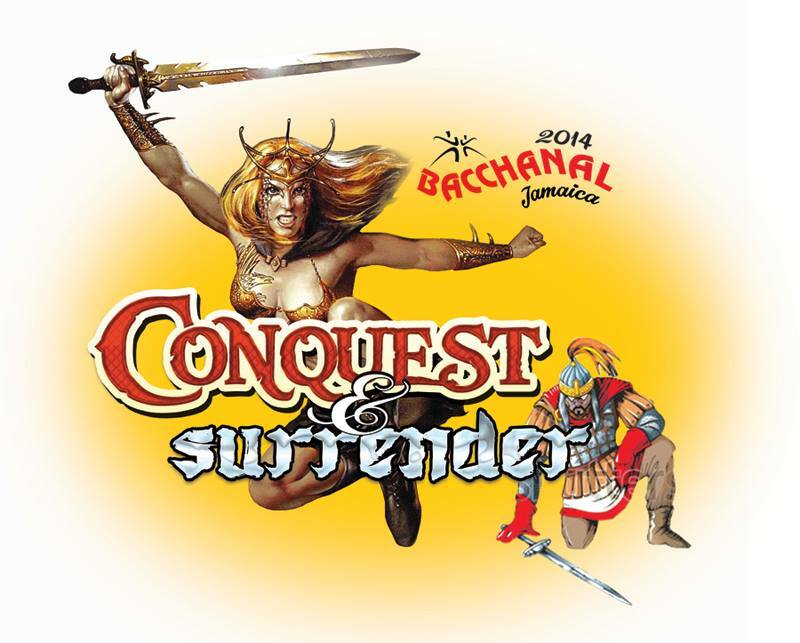 Here’s to hoping Bacchanal 2014 will be everything you expect it to be and more. Previous Previous post: Happy Valentine’s Day ! Next Next post: Working, Touring , Tweaking (Not Twerking) but I’m Back!